One of my company’s largest revenue streams is running contextual ads from Google AdSense. Our network of financial news websites garners approximately 3 million page views per month and we’ve found that AdSense is an extremely effective way to monetize our audience. Recently, I was searching for a good article about AdSense optimization tips and best practices to see if there were any blind spots that I might have been missing. I found that most of the results were either out-of-date or written by people that just don’t know what they’re talking about. I’ve learned a lot during the last six years that I’ve been an AdSense publisher and thought I’d share some of the strategies that I’ve leveraged to increase the revenue that my company earns from AdSense on a monthly basis. New Publisher? Take the “Optimizing AdSense” Class. If you’re just getting started with Google AdSense, take the time to watch the videos from Google’s “Optimizing AdSense” course. 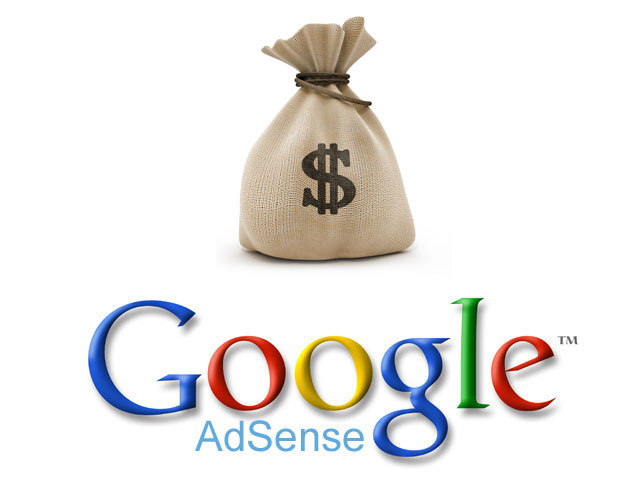 The video course provides a good basic overview of AdSense and how to place your ads. Watch “Optimizing AdSense” here. Use Recommended Ad Sizes. Some ad-sizes have a lot more advertiser demand than others. Make sure to run ad-units that are listed as “recommended” when creating your ads. In my experience, I’ve found that running two 300×250 units in the sidebar and a 728×90 ad in the header works best, but your mileage may vary depending on your website’s layout and your audience’s behavior. You can run up to three AdSense units on each page, so make sure to use them all. Learn more about recommend ad-sizes here. Place Units above the Fold. If you want your use to click on an ad, you’re going to have to put it where people will actually see it. That means your primary ad(s) should be visible to the user when they first load the page without having to scroll. Show Both Text and Display Ads. When creating an ad-unit, you have the option to only show text-ads, to only show display ads or to show both text and display ads. In order to maximize your earnings, make sure to show both text and display ads on all of your units. Don’t Block Ads. AdSense gives you full control over what ads are shown on your website. I recommend that you don’t block any ads on your website in order to maximize revenue because you may end up blocking high-paying ads from running on your website. The only time you might consider blocking an ad is if it’s (A) extremely inappropriate for your audience or (B) a direct competitor is advertising on your site. Regularly Split-Test Unit Sizes and Positions. Your initial ad-layout generally won’t be the most optimal for your site. I recommend trying out different combinations of ad-sizes and positions to see which generates the highest CPM (earnings per 1,000 visitors). Check out this guide to learn how to create a split-test with AdSense. Use “AdSense Experiments” to Test Colors and Fonts. I recommend regularly experimenting with your top-performing ad-units using the “AdSense Experiments” tool. This tool will allow you to easily see if changing colors, fonts or font-sizes has a measurable impact on your earnings. I recommend making a series of 5 or 6 tests for your best-performing units and running them one-by-one until your units are well-optimized. Learn more about AdSense Experiments here. Render Your Highest CTR Units First. Not all ads that load on your page will pay the same amount per click. Google will show the highest-available CPC ads on the unit that renders first in your HTML, so you want to make sure that your highest CTR ads are rendering first in the page. Learn how to do this here. Leverage AdSense Direct. This is a relatively new feature that allows advertisers to buy-out your AdSense units directly. When an advertiser purchases an ad on your website through AdSense direct, you generally make more money than running the standard contextual ads. You can place a link on your website that will allow advertisers to buy ads on your site through AdSense Direct (this may be a beta feature and not available to all publishers). Learn more about AdSense Direct here. Use Link Units for Additional Revenue. Link units are relatively small units that can be placed in-addition your main three AdSense units on your page. They won’t generate a lot of revenue, but can add a nice revenue boost when placed appropriately. Learn more about Link Units here. Use Google Custom Search as Your Site Search. Google Custom Search is a nice way to add incremental revenue to your AdSense account. You can use Google to serve as your on-site search and you’ll receive a share of any ad-revenue generated from the search. Learn more about AdSense Custom Search Ads here. Checkout the AdSense Scorecard. In the last year or so, Google has added a score-card to the AdSense dashboard that shows how you’re doing relative to other publishers based on your site’s page load speed, mobile ad-performance, crawler errors and ad-units. Your AdSense Scorecard can alert you to a number of red flags that may be negatively impacting your earnings. Learn more about the AdSense Scorecard here. If you have any questions about how to best leverage AdSense on your site, feel free to ask questions in the comments below. I did that, but didn't get better results from using the async units. Please suggest some improvments for me. I want to earn from my well established site http://MyEarningSecrets.com but I am not getting what I expected. thankyou so much for this article, very very help me ..